Real men want smooth skin too. Our POLISHED Face Scrub will meet all of your demands while leaving you smelling delicious. Formulated with natural charcoal to draw out the dirt and absorb excess oil that can clog pores. Triple acid combination to gently exfoliate dead skin cells, clear blemishes and prevent ingrown hairs. Bamboo powder and natural particles slough away the loosened cells, uncovering your fresh skin beneath. Exfoliating is necessary men. Your entire body is covered in dead skin cells - we need to get RID of them. They don't just fall to the floor. They stick to your skin for a long time, leading to breakouts and a dull complexion. Make sure to get rid of the dead weight by shedding your skin. 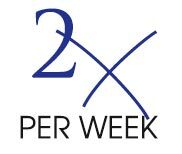 Two times per weeks is the perfect amount of scrubbing needed. Not too little and not too much. Use our perfectly gritty POLISHED scrub to show off your healthy skin. *Don't forget the lips. Give a gentle scrub there as well, then rinse well and apply a lip butter. DIRECTIONS: Apply to clean, wet skin 1-3x per week. Gently massage scrub in a circular motion, avoiding the eye area, and rinse thoroughly with warm water. May be used prior to shaving to promote a smooth, close shave. Recommended for use on all skin types. INGREDIENTS: Water, Butylene glycol, Hamamelis virginia water, Glycerin, Polylactic acid, Denatured alcohol, Jojoba esters, Lactic acid, Mandelic acid, Aloe barbadensis leaf juice, Salicylic acid, Acrylates c10-30 alkyl acrylate crosspolymer, Bambusa Arundinacea Stem Extract, Charcoal powder, Phenoxyethanol, Ethylhexlglycerin, PPG-26 Buteth-26, PEG 40, Hydrogenated castor oil, Cellulose gum, Sodium hydroxide, Xanthan gum, Iron oxides, Men's Fragrance.